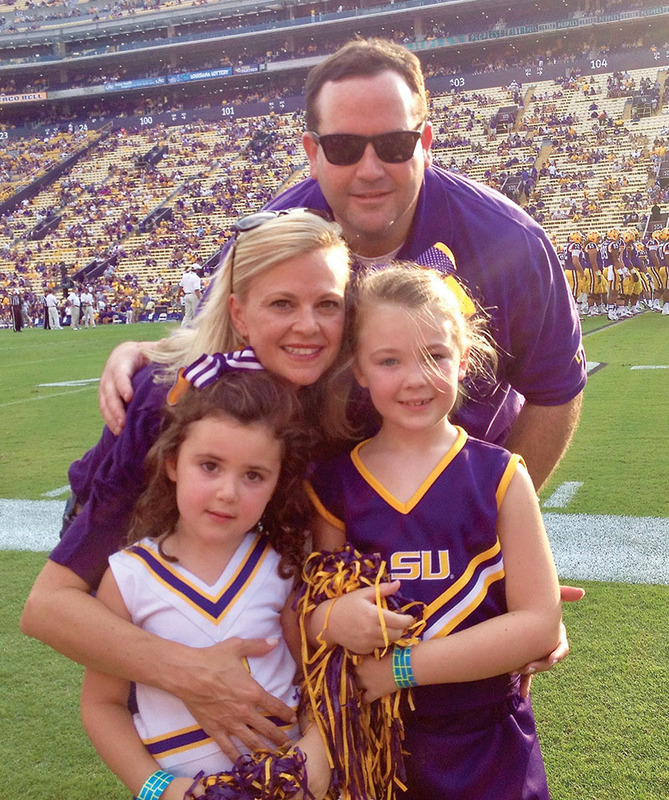 TIGER FAMILY Kari and Kevin Brophy, both LSU graduates, are grooming the next generation of fans, Mary and Molly (shown here in 2013). If you’ve ever agreed with someone who said, “There are two seasons in the south: college football season and waiting for college football season,” you’ll totally get this story. Because it’s all about the lengths to which college football fans will go to make the most of game day. Traveling hundreds of miles for the game? Of course. Hauling giant tents to set up on campus? Yep. Camping out several days prior to Saturday’s game? If you’re in Louisiana, yes. Kari says LSU’s tailgates are continuously ranked tops in the country for good reason. “When you’re walking down the street anywhere around campus and there’s a tailgate, you’ll have no idea who these people are, but they are going to offer you a beer, some food, a drink. If they see you empty-handed, your hands will be full. Someone who has never been to an LSU tailgate will walk around all the different tailgates and will probably find some of the best food they’ve ever tasted. There’s jambalaya, there’s gumbo, people are cooking in big crawfish pots over propane. The food is so good, it’s unlike anything else. 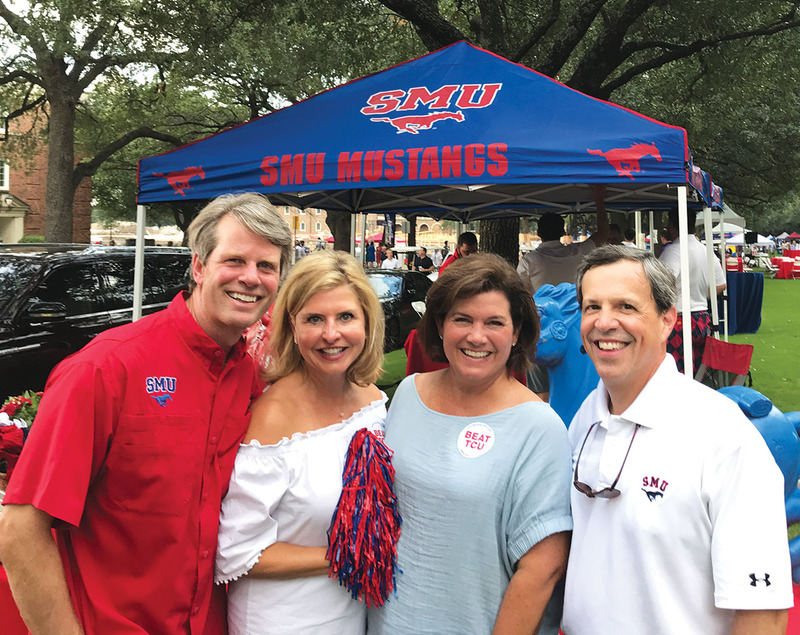 ON THE BOULEVARD Todd and Heidi Binet and Melinda and John Stevenson tailgate at SMU with fellow alumni and their children, who now are students and alumni. SMU has joined the tailgate party, too, although the Mustangs call it “Boulevarding” because the tents are set up along the boulevard leading to the football field. Editor’s note: See this month's Cooking Buzz column for tailgating recipes. Do you have tailgating stories (that you can share)? Comment below or email us at info@thebuzzmagazines.com.